FIFA has confirmed it will work with Qatar on an expanded 48-team World Cup in 2022 that will involve at least one more country hosting games. Football's governing body has already approved the increase for the 2026 tournament and is investigating the possibility of instituting the change four years ahead of schedule. The FIFA Council met in Miami on Friday and accepted a feasibility study that recommended the need for neighbouring nations to provide hosting support to Qatar. 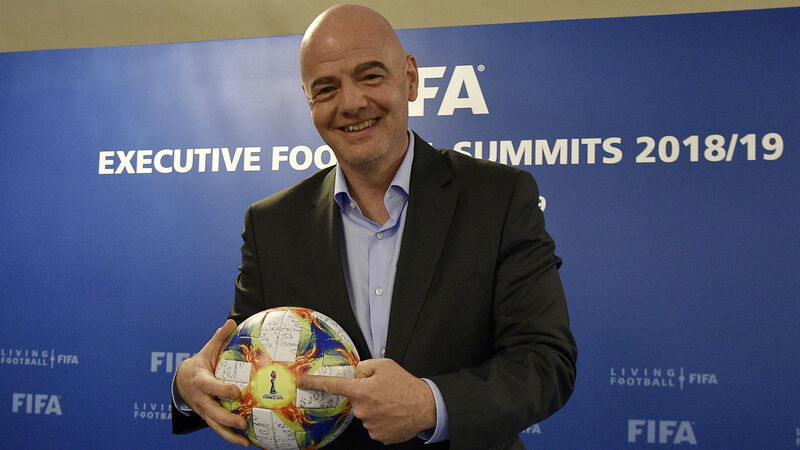 FIFA president Gianni Infantino said: "We came to the conclusion that, yes, it is feasible to move the World Cup in 2022 from 32 to 48 teams provided, of course, that certain conditions are met. "To be very clear, today we have a World Cup in Qatar of 32 teams and it is great like this. However... we are looking into the matter and seeing whether it is possible to anticipate this [change] already in 2022. "If it is feasible, if it is possible, great. If it is not feasible, if it is not possible, great. But I think as FIFA we have a duty to look into that." "It's extraordinary to have Ives as my mentor"
FIFA and Qatar will undertake further analysis on the potential for joint hosts before determining whether a proposal is submitted to FIFA Congress in June. Infantino also confirmed FIFA's intention to forge ahead with expanding and rescheduling a revamped 24-team Club World Cup in 2021. The tournament - whichis presently limited to seven participants - will be moved from its usual December window to the months of June and July. The plans have been met with strong opposition from the European Club Association, which represents powers like Barcelona, Manchester United and Real Madrid. "We want to have an exciting competition, a presitigous competition, an inclusive competition for clubs, and we will have this for the new Club World Cup," Infantino said. "Of course there are different points view on some topics but we have the responsibility to make the decision for FIFA and I'm sure in the next few weeks even the discussions with UEFA will bear positive fruits."